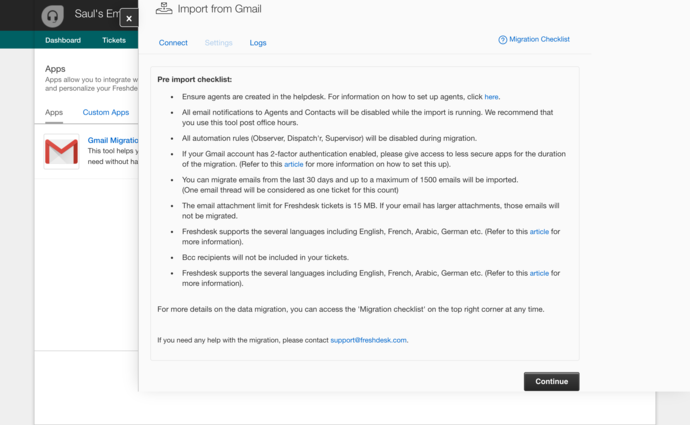 This tool helps you seamlessly migrate your emails from Gmail and provides agents the context they need without having to manually forward older threads to the helpdesk. 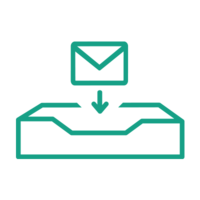 The migration is thoroughly secure with the data migration fully transmitted under SSL. Please go through the pre-import checklist. 1. 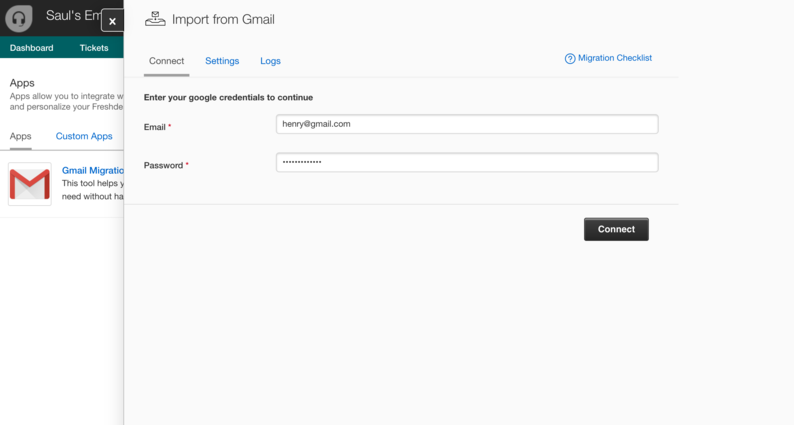 Connect to your Gmail account by providing the requested details. 2. Choose the folders you would like to import from Gmail. 3. Click on "Save & Import". 4. Sit back and enjoy a cup of coffee, while the migration completes. 5. 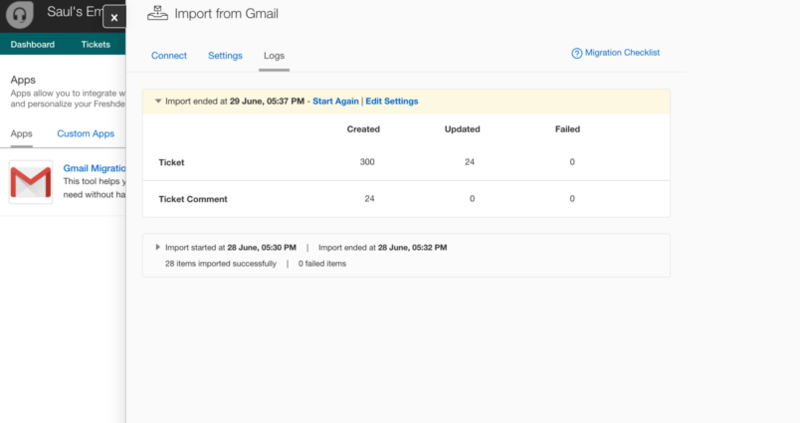 Now, visit the Freshdesk Tickets tab to see your tickets which are tagged as "Gmail Import".